I’ve started writing this post on and off again since December but keep struggling with the right words. But because I am too cheap to see a therapist, I use writing as a way to deal with the thousands of emotions inside of me. So here we have it. 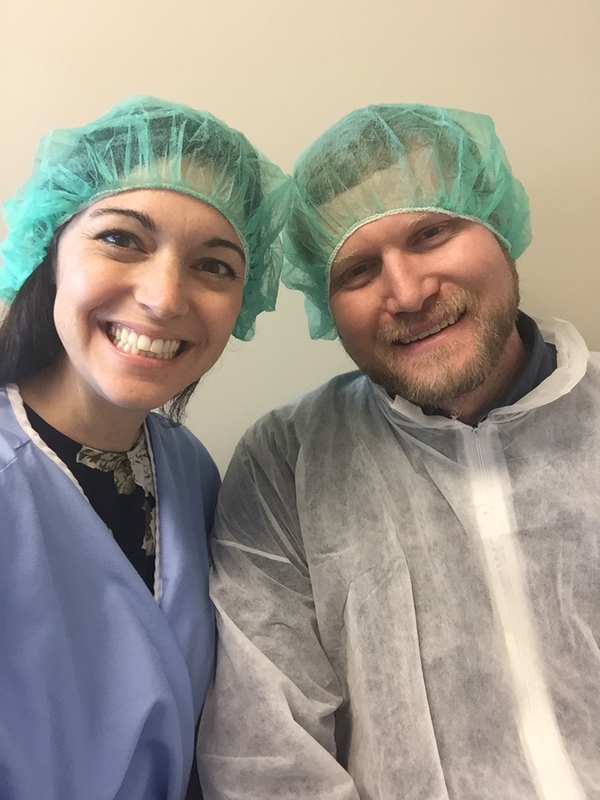 In December of last year, we implanted our last remaining embryo that had been frozen since 2015. The procedure went well but we found out 9 days later that the embryo did not make it and I was not pregnant. I felt this tremendous wave of sadness over me, as if I had just lost a member of my family. We had optimistically lead ourselves to believe that embryo would be the final chapter to our baby-making story. So then after dealing with the tears of losing the embryo, we now had to move on to our next challenge of starting over from step one. Another IVF. The only difference this time, is I am now 35 years old. Shouldn’t be a problem though, right? I made an embryo once, he implanted, grew, became a fetus, and is a now an adorable two year old. My body should know the drill by now, right? Well, not the case. We had made our peace with the fact we are once again going to be dropping thousands of dollars on treatment and medications. We had made our peace with the fact that our children will not be two years apart. And we had made our peace with the fact that I was going to go back to the needles and hormones and weekly doctors visits. What I had not made peace with, or even considered, was that what if none of it works out at all? I am not sure that I have made my peace with the idea that Liam might be our only child. Or that I might only get to be pregnant once in my lifetime. In 2015, I was 32 (not old per their standards) and we had no idea why I couldn’t get pregnant. Now here we are in 2018. I am now 35, knocking on the door of 36 which is considered an “old maid” by fertility standards. And after the last egg retrieval in 2015 they were able to determine that I have “diminished ovarian reserves.” And as of this week I am now showing signs of abnormal follicle stimulating hormone. So the likelihood of getting a bunch of viable embryos is not high. In fact the likelihood of even getting one egg is very low. We are more likely to hear crickets chirping inside my ovaries they we are to find any viable eggs. But here we are. And we are going to give it a try. And hope that somewhere up there, there is at least one strong healthy egg waiting for us. Because we are waiting, and wishing, and dreaming of him. Or her. My doctor told me I am allowed to be disappointed and sad by this news. I am allowed to be bitter. So I took my time and did that. And in the meantime 17 people died in a school shooting in Florida and suddenly my entire perspective on everything began from What is wrong with America? to what are we doing bringing babies into this world? And I think about Sandy Hook and the parents whose babies never made it past the first grade. And if I can be so broken up over a baby that doesn’t exist, I can’t even begin to imagine what they are feeling. But I also see this world where children are now growing into teenagers who are speaking out for what’s right and becoming leaders and trying to change the country to make it a better place. And then I remember that is why. That is why I want this so badly. So I can raise smart, kind, compassionate babies who grow to be the next movers and shakers. I hope so much for a beautiful long life for Liam and hope that he has a sister or brother someday soon to share it all with. So as we go into these next few weeks leading up to our retrieval date, I’ll be over here getting by on high doses (and expensive) fertility medications, weekly acupuncture sessions, and lots and lots of hope and prayers and wishes. So if you have any to spare, send them my way. And I promise this bitter, old maid will send them all back your way if you need them too some day. December 2017: we really thought this would be the last time we’d ever have to take this photo. coming in hot wearing paper gowns and matching surgical shower caps. I really hope it works out for you. I did not have fertility issues, and I do not take it for granted, especially when I hear stories like yours. I hope you will not be mad at me, but can’t Liam still be a brother to someone, even if it is not a biological sibling? You have so much love inside you to give a child, even if he or she did not come from your egg. And I do not mean to diminish what you are feeling. At all. Yes adoption is definitely, absolutely 100% on the table for us! And we’ve looked into it a little but unfortunately we can’t afford to work on that plus an IVF at the same time. (Everything is so unnecessarily expensive). But yes we have already decided that no matter what happens were going to revisit going down that path! Wishing you all the best. We are starting our first IVF at the age of 34 next month. Praying that all goes well for both of us. Thank you for sharing your journey sometimes it helps to know you arent the only one. good luck to you! you know, there are so many reasons (both known and unknown) why couples can’t conceive. But I think getting started with an IVF and ensuring that you can get some good healthy embryos made and frozen, that saves you so much more time to think about or save up for the next step. So point of my rambling, 34 is neither too early nor too late for an IVF! Sending you lots of love and prayers!! Pingback: we’re having another baby!